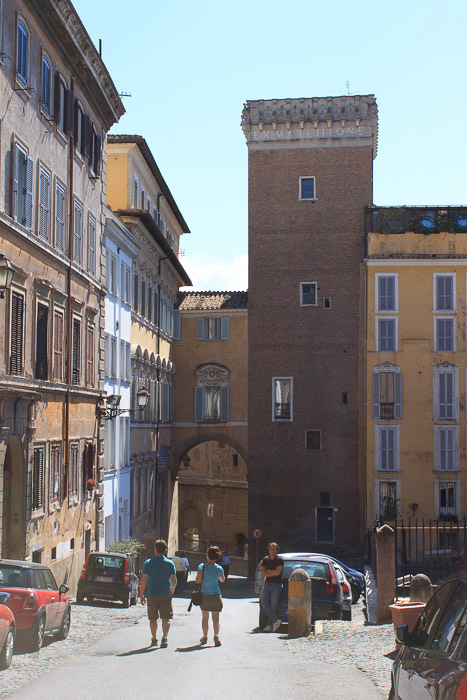 The Tower of the Crickets was built in the 12th century by the Carboni family on walls relating to the Trajan era. 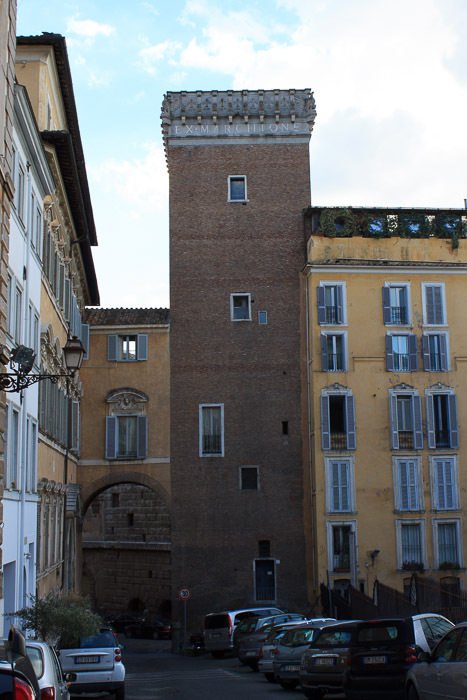 In the 17th century, the family Grillo bought the tower, giving it the current name (Grillo translates as Cricket). The tower is topped with a 17th century stucco frieze inscribed as "Ex Marchione de Grillis". The first part of this inscription appears in my photos. See all Tower of the Crickets photos.